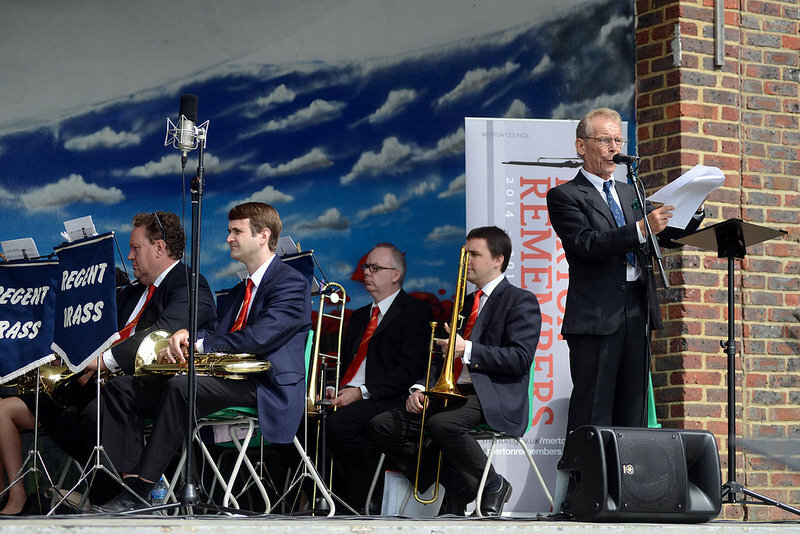 Merton Council hosted a special commemorative event at Morden Park bandstand to mark the centenary of Britain joining the First World War. With over 100 residents in attendance at the ‘Merton Remembers’ event, professional narrators brought to life the mood of Britain during 1914 as the country went to war at 11pm on 4 August that year. 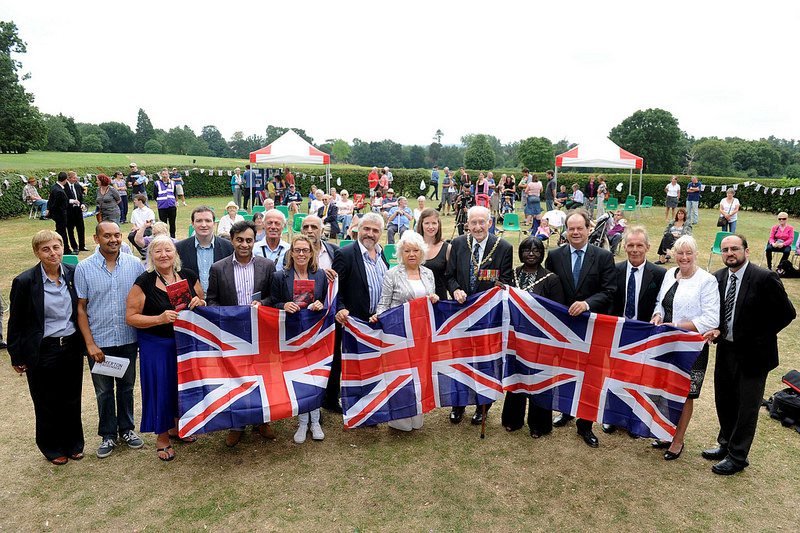 Merton Council commissioned a specially scripted piece focusing on events at the Home Front in Merton and on the Front Line. 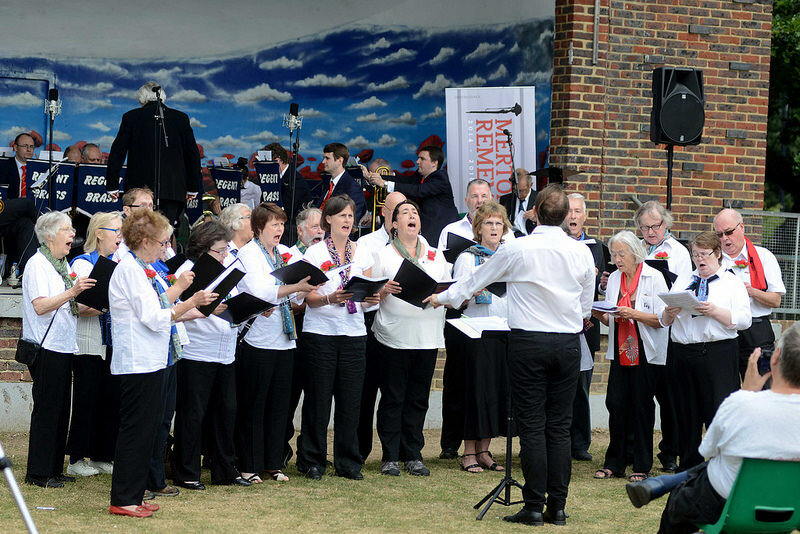 Music at the event was provided by the critically acclaimed Regent Brass and community choirs. Volunteers were also invited to take part in the performance. 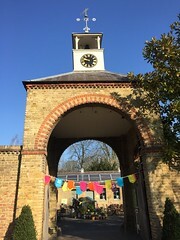 To find out more about how Merton is marking the centenary of the First World War, visit www.merton.gov.uk/mertonremembers. Photos of the event can be viewed on the council’s Flickr page.